The release of Plex Media Server 0.9.6.8 also marked the release of Plex/Web, the first new feature for Plex developed under the PlexPass subscription program that the Plex team introduced earlier this year. PlexPass subscribers now have another early-release feature to play with: PlexSync. PlexSync will be a new feature for the Plex mobile clients that promises to greatly simplify the process of syncing media from Plex Media Server to a Plex-enabled mobile device for offline consumption. PlexSync will ensure that media is converted to an appropriate format, sync up metadata to match the content, track watch states, and even protect your cellular data allotment by restricting syncing to a Wi-Fi network connection. Perhaps the most interesting detail is that PlexSync is being developed with an accompanying API for third-party extension. PlexSync is currently only available to PlexPass subscribers on iOS, but Android is in the works. PlexSync will be a premium feature, so although PlexPass subscribers will have to pay for the new feature when it is released, they will have unfettered access in the meantime. Syncing media to the device is probably the most highly requested features since we launched the mobile apps, and rightly so. 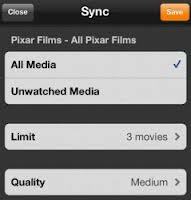 Using PlexSync, you can flag content from your library (or from certain channels) for download. Once you’ve done that, your server will convert the content you selected to a compatible format, and the mobile client will download the content to your device so you can view it when you’re offline. The current version of Plex has an unresolved conflict with the Ceton InfiniTV 4. I wish Plex and Ceton would work together to fix it so I could upgrade and get these new features… I’m currently a couple versions behind. I love plex!!! Just keeps gettthis better this feature alone will make me a paying customer.